Carambola also known as Star fruits are Popular across Southeast Asia and the South Pacific, carambola have distinctive ridges running down its five sides almost like a star, hence its called star fruit. A smoothie bowl is made like a smoothie, only slightly thicker and topped with fresh fruit. This Strawberry Star Fruit Smoothie Bowl is wholesome and delicious. Combining low-fat yogurt and fresh fruit, it's a healthy way to start your morning. 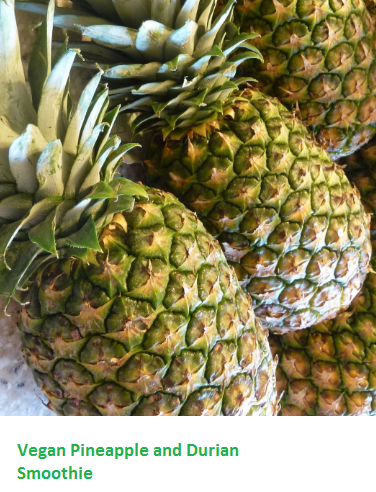 In a blender blend the yogurt, banana, pineapple and strawberries to form a smooth thick paste. Put this mixture in a serving bowl and top it off with some fresh strawberries and star fruit slices. We all love ice creams this recipe is actually a healthy kind of ice cream which is loaded with antioxidants and vitamins since its made from banana and dragon fruit. 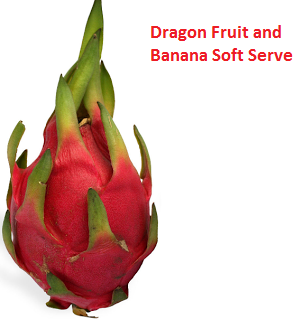 Cut the banana and the dragon fruit flesh into small pieces. Take a plate and place a baking sheet on it. Keep the cut banana and dragon fruit pieces on the paper and put it in the freezer to chill overnight. In the morning take a blender and blend the banana pieces. Once the banana is crumbly. Pulse again until the banana is gooey. Pulse the blender again until the banana is soft, creamy and has a soft serve like texture. Transfer the creamy banana to a clean and wide container and Place the container in the freezer. Now in the same blender blend the frozen dragon fruit pieces to form a smooth paste. Add this paste to the banana containing container and freeze it again until it hardens. If you gotta make a meat loving friend have some vegan food then these sandwiches are the right choice to start with. 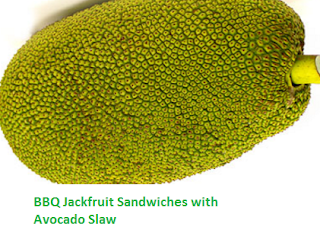 Barbecued Jackfruit tastes just like meat, trust me on this. So lets look at this amazing recipe. Clean deseed and chop the jack fruit and keep it in a mixing bowl. Now add all the seasoning to the mixing bowl and mix it well with the Jack fruit to coat it well. In a large skillet heat oil and add the seasoned jack fruit to it and let it cook for 3 minutes. Now add the Barbecue sauce and cook on low flame for 20 minutes. Using two forks shred the jackfruit as it cooks to give it a look like pulled pork. Once the jackfruit has been properly simmered, turn up heat to medium-high and cook for 2-3 more minutes to get a little extra color and remove from the heat. Now is the time to assemble the burgers. Place the slaw on the bottom part then add a portion of barbecue jackfruit and top it off with some more bbq sauce and close the sandwich with the top of the bun. This is a pretty much simple recipe of a very healthy smoothie. You just need to blend all ingredients together and your done, its that quick. Just blend all ingredients together to make this amazingly healthy smoothie. Quinoa Summer Rolls make for a perfectly healthy and tasty party appetizer. As these summer rolls are loaded with vitamin A, C, and K, and also fiber, potassium, and folate. You can make these rolls very quickly under 20 minutes. Fill a plate with warm water and dip the rice paper wraps in it to soften them. Once soft keep them on a flat surface. Now start with the filling, first goes the quinoa in the middle then lettuce, peppers, carrots and avocado. Now fold the wraps just like you would a burrito. Repeat this till all ingredients are used. And your amazing healthy party appetizers are ready. These coconut Lychee coladas are very simple to make and are one of the most amazing cocktails I have ever tasted. Lychees go amazing with coconut milk and water. Take a blender and blend all the above ingredients together to form a smoothie. Top this smoothie with some crushed ice. Garnish this smoothie with lemon wedges.